About ten years ago I started to notice a lot of alternatives to PowerPoint popping-up on the web. Some of those presentation tools like Google Slides and Prezi are still going strong while others have faded away. Through it all, PowerPoint kept chugging along even though it wasn't a darling of Web 2.0 users. Today, PowerPoint has all of the features students and teachers need, including collaboration, but often those features are overlooked. If you haven't taken a look at PowerPoint in a while, here are five PowerPoint features that you should try. Making a presentation about your favorite software or websites? Try using the screen recorder that is built into PowerPoint. Your recorded video is automatically inserted into the slide that you have open at the time you make your recording. Of course, you can use that video in other slides too. Find the screen recorder in the "Insert" menu in PowerPoint. Add your voice to your slides through the audio recorder built into PowerPoint. This is particularly useful if your slides will mostly be viewed independent of your presence. Have music or sound effects that you want to add to your slides? In PowerPoint you can upload those recordings directly to your presentation and play them on the slides of your choice. The sound recording and sound upload options are found in the "Insert" menu in PowerPoint. Google Slides has Add-ons, PowerPoint has Add-ins. Add-ins offered by third parties can provide additional functions in PowerPoint. In my video embedded below I demonstrate how to find and install PowerPoint Add-ins. The video features the Pixabay Add-in that provides access to thousands of images that are in the public domain. Tired of the same old Times New Roman, Georgia, or Comic Sans (gasp! ), use Word Art to create custom fonts. 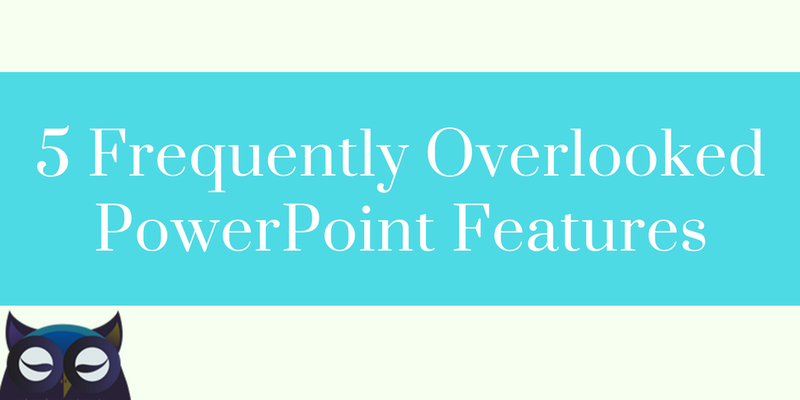 You'll find Word Art in the "Insert" menu in PowerPoint. Morph is a PowerPoint feature available to Microsoft 365 subscribers. Morph allows you to create animations by combining two similar slides into one display.